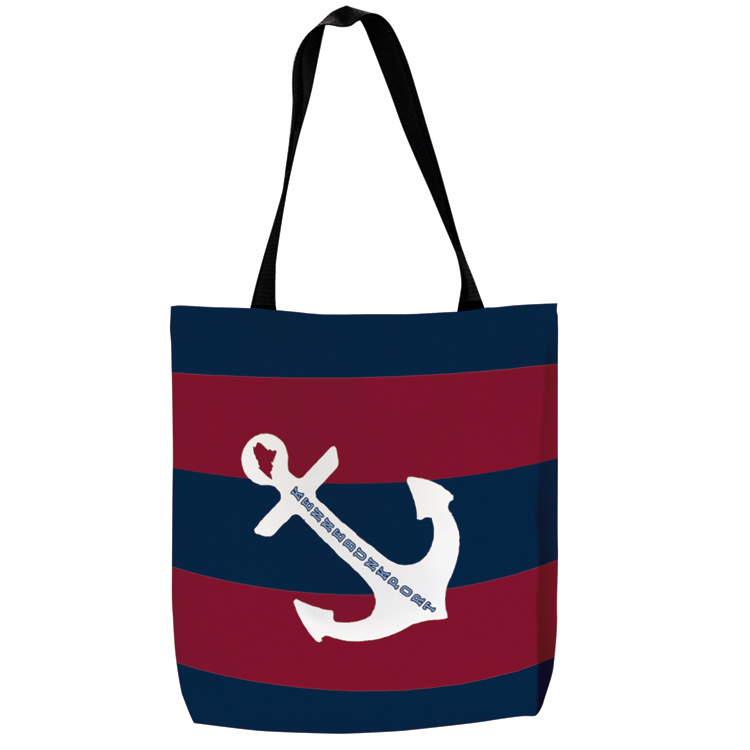 Sewn In The USA This tote has the added feature of a bottom. This changes the shape of the bag and gives it depth. It feels bigger and can hold larger items easier. It makes it a great bag for carrying some smaller things, and perfect for a trip to the market. Sewn & Printed in the USA. This gives us the ability to print your customer’s art on the material before we assemble the products. It also gives us the freedom to slightly adjust sizes and features of each bag style according to your needs. Webbed handles are available in various colors and sizes as desired. 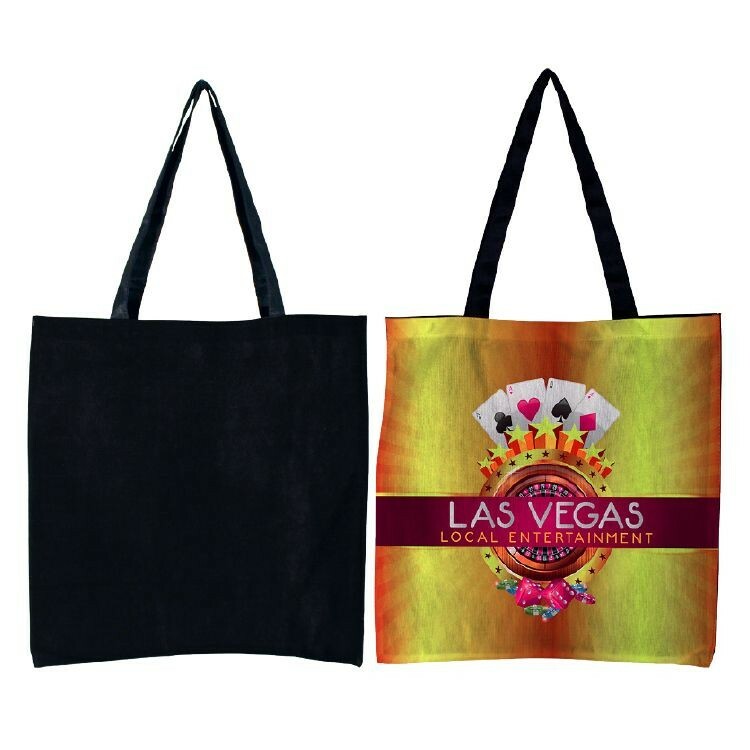 This flat bag features a full color sublimation print all over the front. It has a black back side and non-woven handles. It is big enough for carrying everyday essentials. Perfect for gift shops, conventions and corporate giveaways, your company logo or custom design is bound to get noticed on this handy accessory. We have these blanks here in the USA on the shelf. We can print them here when you place your order. This gives the ability to provide low cost non-woven products, with full color printing, at a low quantity in a reasonable amount of time.